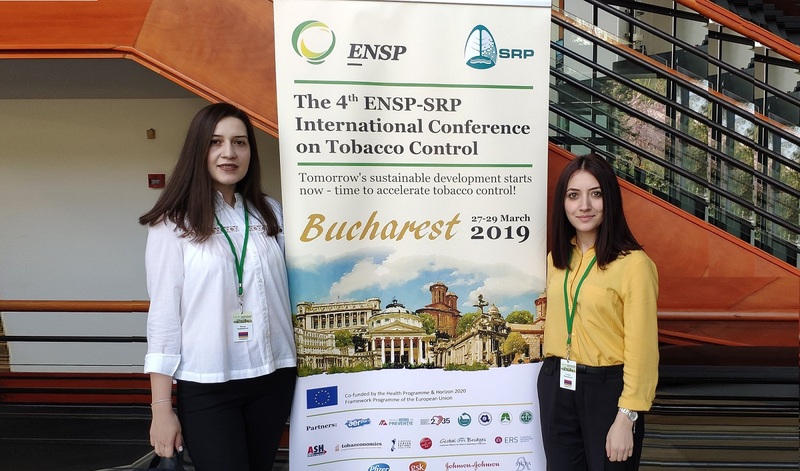 BUCHAREST, Romania ‒ On March 27-29, 2019, Research Associate Varduhi Hayrumyan (MPH ‘16) and Research Assistant Zhanna Sargsyan (MPH ‘18) from the Avedisian Onanian Center for Health Services Research and Development (CHSR) at the American University of Armenia (AUA) Turpanjian School of Public Health (SPH) were competitively selected to present at the 4th annual International Conference on Tobacco Control 2019 of the European Network for Smoking and Tobacco Prevention (ENSP). 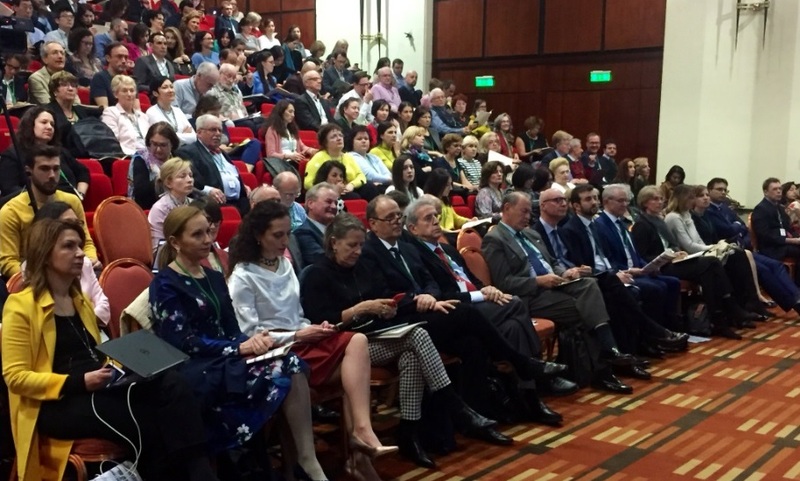 The conference was organized in partnership with the Romanian Society of Pneumology (SRP) and hosted in the center of Bucharest. Guided by the slogan “Tomorrow’s sustainable development starts now – time to accelerate tobacco control!”, the conference aimed to bring together global leaders in health and human rights from international and European academic institutions, national authorities and well-known non-governmental organizations involved in tobacco control to share their local and global experiences on various aspects of tobacco control including strategies on smoking cessation, prevention and regulation of tobacco products in the European community. Hayrumyan delivered a speech on “Tobacco dependence treatment provision by tuberculosis physicians in Armenia” co-authored by Arusyak Harutyunyan, Zaruhi Grigoryan, Sargsyan and Varduhi Petrosyan. She was awarded the AUA Faculty and Staff Development Conference Presentation Grant to participate in the conference. 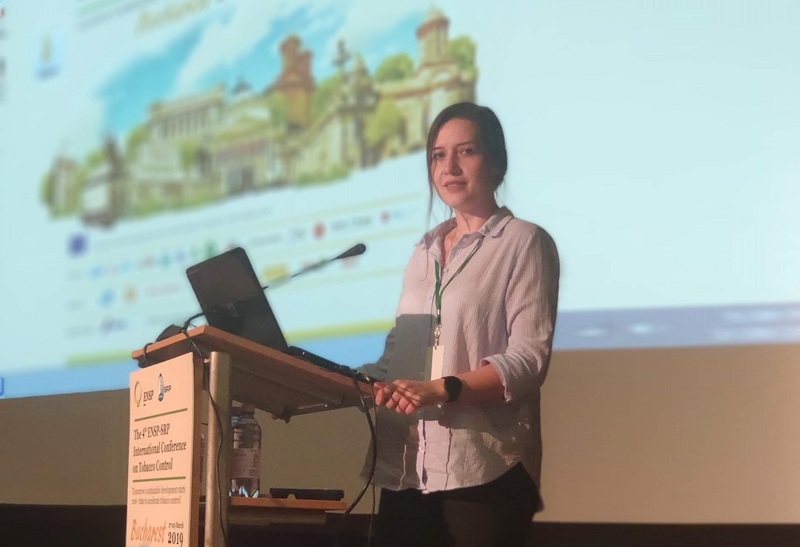 Sargsyan, who received full scholarship from the organizers, made an oral presentation on “Smoking cessation counseling: a survey among tuberculosis patients in Armenia” co-authored by Harutyunyan, Hayrumyan, Grigoryan, and Petrosyan. The abstracts were developed based on the findings from the “Integrating evidence-based tobacco control services into tuberculosis control in Armenia” project, supported by the Global Bridges Healthcare Alliance for Tobacco Dependence Treatment hosted by the Mayo Clinic and Pfizer Independent Grants for Learning and Change (IGLC). 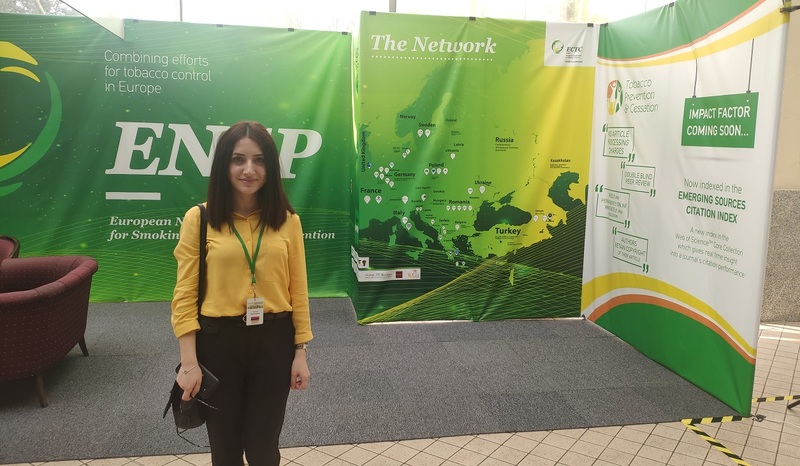 Sargsyan also participated in the ENSP General Assembly (GA) representing SPH (a full ENSP member since 2017). The GA made a declaration on behalf of the 4th ENSP-SRP Conference participants reaffirming the Human Rights and Tobacco-free World, adopted in Cape Town 2018, which recognizes the value of combining efforts of the human rights and tobacco control communities to put an end to the tobacco epidemic. Both abstracts were published in the special issue of the Tobacco Prevention and Cessation journal, March 2019 Supplement/2019 vol. 5.